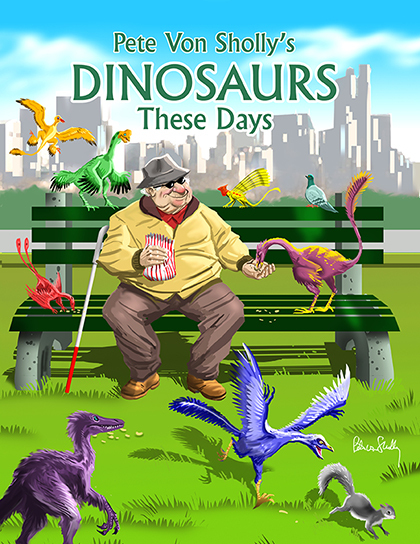 Dinosaurs These Days is a fun and funny take on what things might be like if dinosaurs and some of their prehistoric friends were still around today. They might tear up the couch, get fleas and catch frisbees, need "the cone" when they're hurt, chase the mailman and so much more! Has a section at the end with real dino facts for interested kids. A great colorful book for anyone who likes dinosaurs and dinosaur art.